CDW's customers are diverse and so are their printing needs. We offer a variety of supplies and managed print programs that we can customize to fit your unique challenges and requirements. Our team of dedicated Print Solution Specialists will take the time to understand your printing environment and recommend a solution perfect for you. No cost to join, no fees to maintain and no penalties to leave — Just get the benefits of discounts and free shipping on printer consumables sold by CDW. Plus, we offer free options such as auto or prompted toner ordering and fleet monitoring tools. 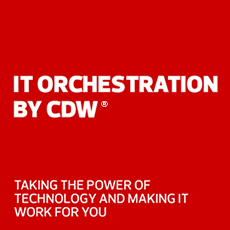 Let CDW offload all your printer management tasks. Our MPS Solution Architects can build you a tailored managed print service that fits the needs of your organization. We partner with the most respected providers to offer best-in-class solutions. We have partnered with the most respected names in the printing solutions business to provide you with programs that meet the challenges of your organization. Take control of printing costs with Xerox Partner Print Services, covering A3 to A4 devices and all major brands. Call your CDW Account Manager at 800.800.4239. Our team of Print Specialists is ready to help lower the cost of owning and operating the printers in your fleet.